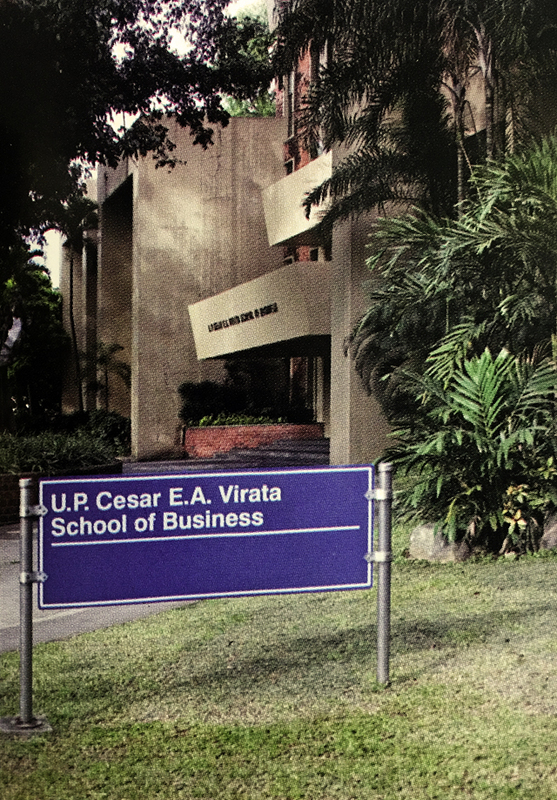 When former Senate President Manuel B. Villar Jr. entered the University of the Philippines College of Business Administration (now the Virata School of Business) in the late 1960s, he recalled that his dreams were rather simple. Foremost among his goals were business success and uplifting his family's fortunes, said the head and founder of Vista Land and Lifescapes, one of the country's biggest property developers. 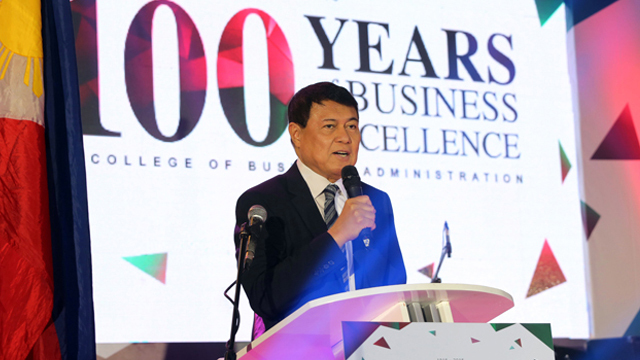 Villar reminisced about his days as an undergraduate in UP when he spoke last December 3 during an alumni homecoming and public lecture on public service to commemorate the founding of the UP College of Business Administration a hundred years ago in 1916. The college was renamed in 2013 after Cesar E. A.Virata, the dean of the college from 1960 to 1967 who went to serve as finance secretary and prime minister in the 1970s and 1980s. Villar, who ran unsuccessfully for Philippine president in 2010, graduated from the college in 1970 with a Bachelor of Science in Business Administration (BSBA) degree. He finished his Master's in Business Administration (MBA) degree in 1973 also in the college. His wife, incumbent Senator Cynthia Villar, also got her BSBA and MBA degrees from the college. He stands as a rare exception in a country where most of the richest persons descended from either Spanish or Chinese families. He recalled that the student activism in the late 1960s had a big influence on him, adding that he joined some of the anti-government marches to Malacañan during the First Quarter Storm of 1970. "It was my encounter with the best and the brightest in the country that allowed me to dream big," he said. "Sure, I still want to give my family a better life but I realized that as I work on this I can also fight for better lives of my neighbors, my community, my country."